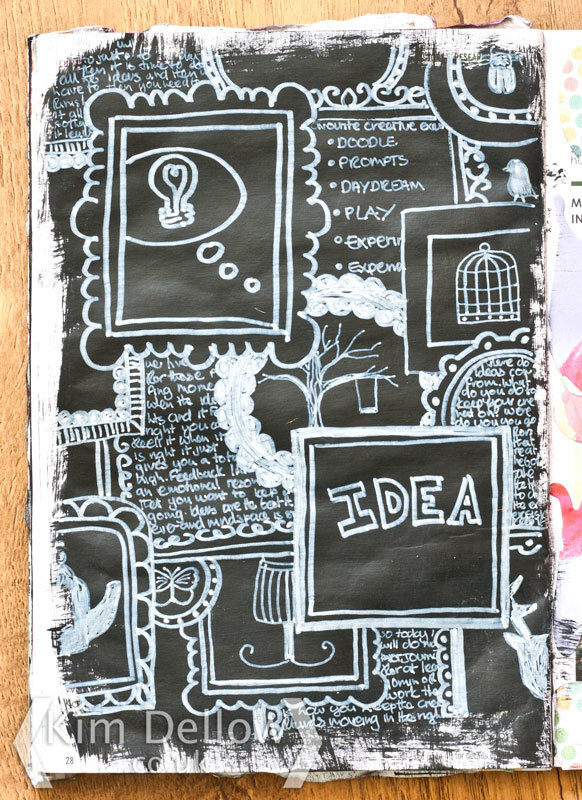 What are your art journal themes at the moment? 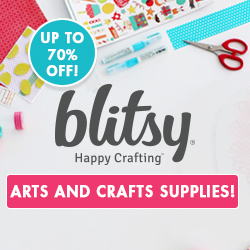 Have you got any themes, techniques, motifs that are featuring a lot at the moment? 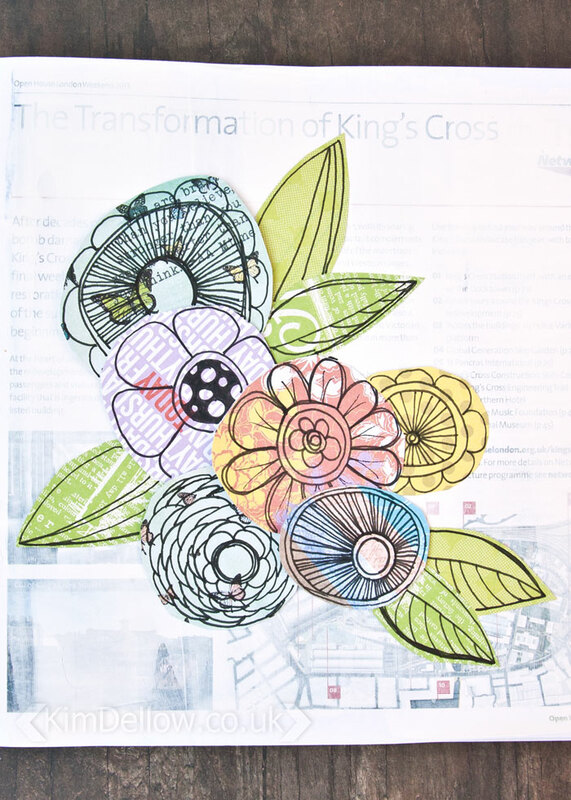 I’ve been drawing and painting a lot recently so drawing has been featuring in many of my art journal pages but I would definitely say that collage has been featuring a lot too, particularly in my backgrounds. 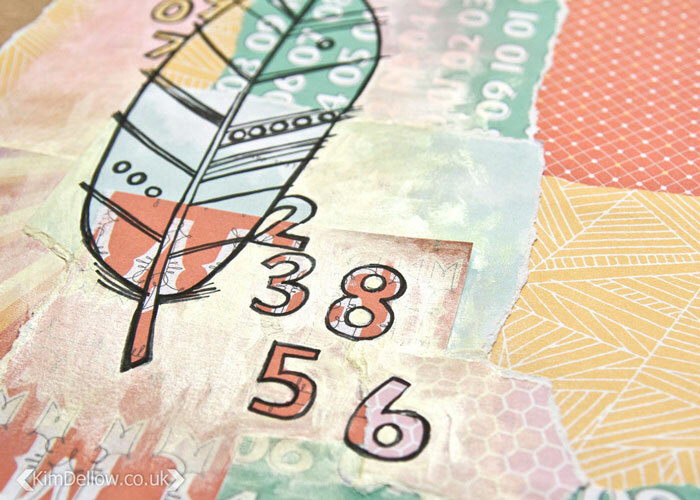 If you saw my DIY Patterned Paper Bird Page video in February then you will have seen one of my collage page work in action. 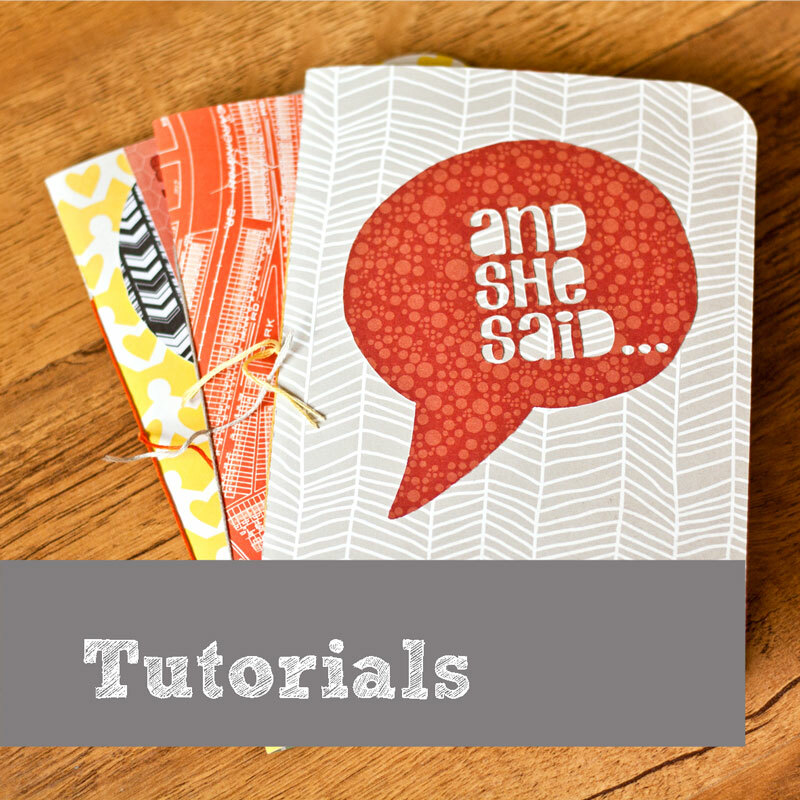 This time, for this video I’m using designer patterned paper to make my collage background and I am using the simplest of ways to add the paper to the background just to speed up the process! I’ve not done a voice over for this week’s video, so sit back and enjoy the process to music and if you have any questions just ask in the comments below! 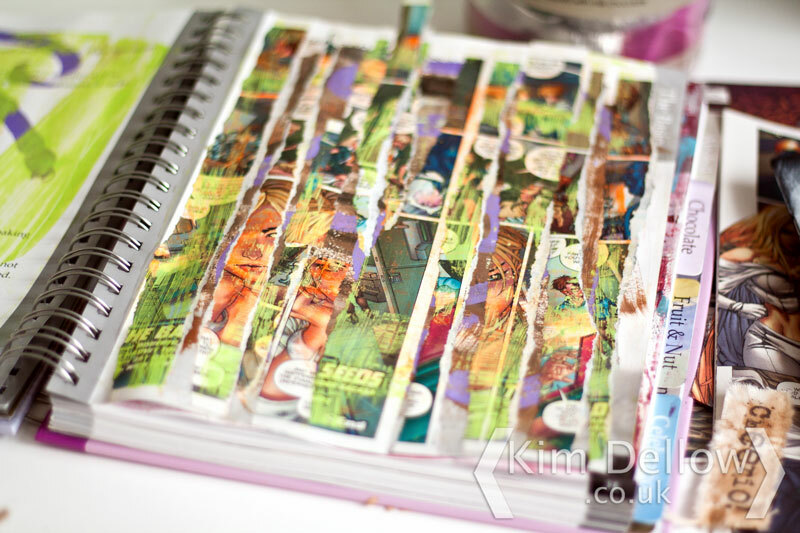 I think that one of the reasons that I like using patterned paper collage so much at the moment is that it is a great way to start a journal page and you if you want to you can get a journal page done really quickly with this method. In fact if I had not gone around the outside of the image with the paint I could have easily added this to my 5 Minute Create video series! Oh and don’t forget to subscribe to my YouTube Channel to see my videos as they go up. 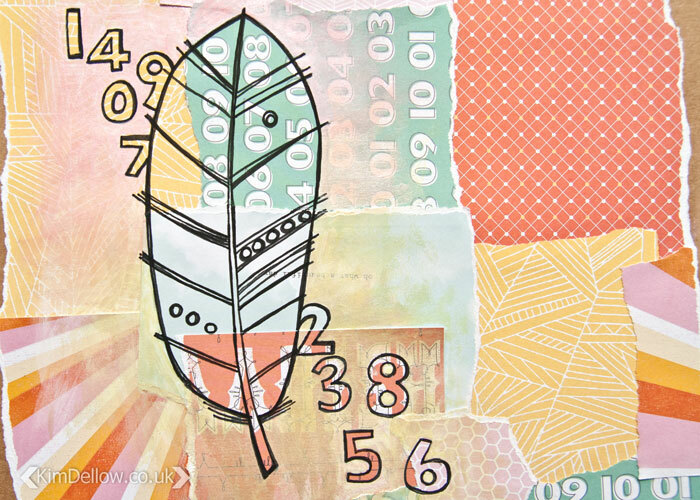 Have you been using patterned papers collage in your art journaling? 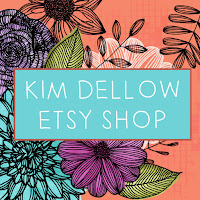 Leave me a link to your work or hashtag me, #KimDellow, in on social media, if you have I would love to see it! 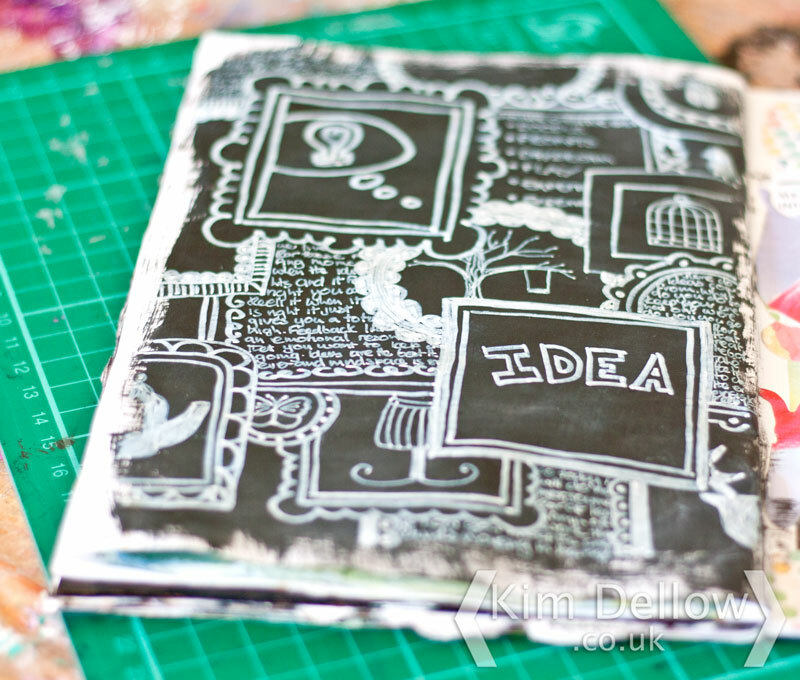 It’s video time and this week I have an art journal page to share. For this video I thought it would be fun to use some patterned paper and a pen to make a flower cluster for my art journal page. I’ve got way too much patterned paper and I am trying to make good use of it, so this type of project is perfect! 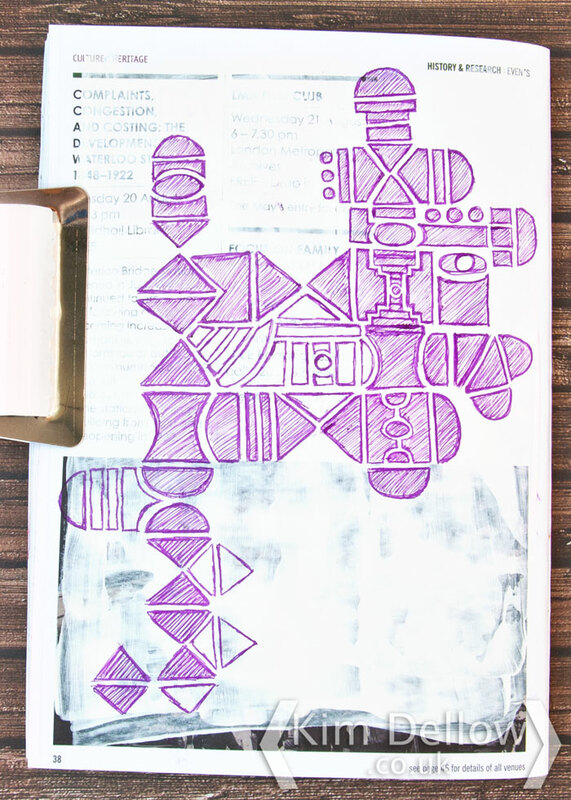 It is also a perfect project for using up oddments and those small pieces of paper that you just can’t bring yourself to throw away. Well, I can’t anyway! 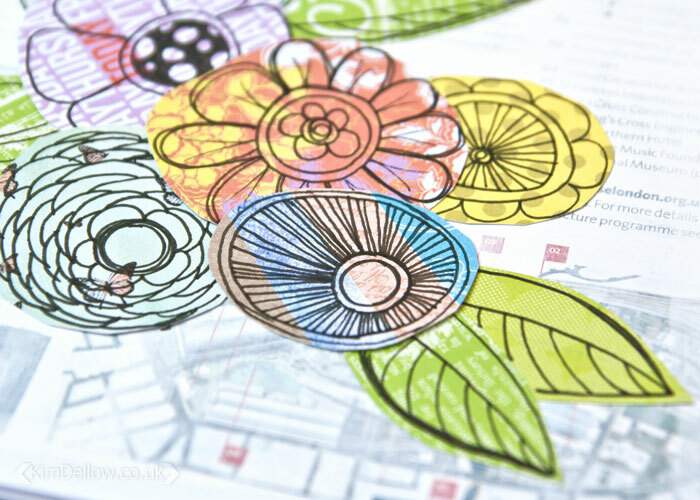 So if you have too much patterned paper, like me, or a collection of bits of paper you need to find homes for, also guilty as charged, then you are going to love this project! There is something really relaxing about cutting out bits of paper, isn’t there? I do love a bit of collage. It’s even more fun to then go and doodle your own flower designs over it! 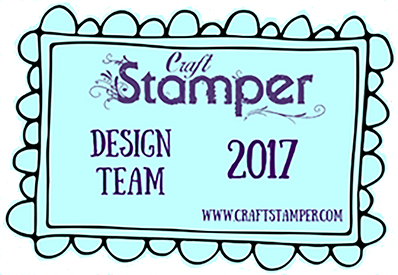 I would love to hear what projects you have been using cut outs for and what you do with your left over patterned papers, so do let me know. 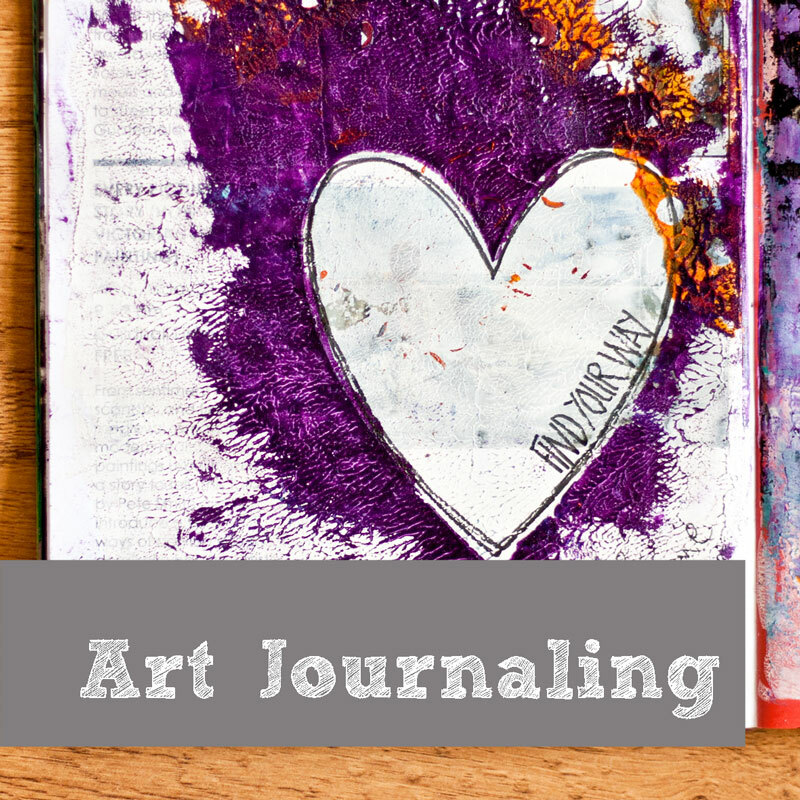 I have some art journal pages to share again with you today, this time last week I shared three art journal projects, two from my junk journal, this week I have three more to share. All six projects were made around about the same time, so there is some cross over in the materials used and the style and look for some of them. But they are all different too. This first page that I am sharing with you is a sister to the Art Slice mini-video ‘Bubble Art Journal’ that I shared on the 11th November. 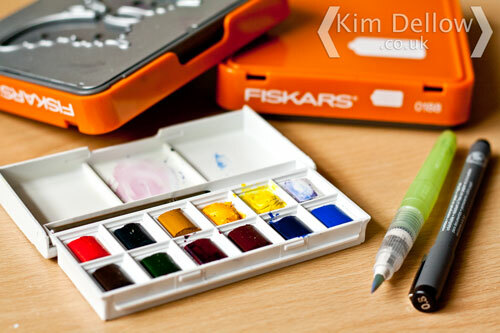 It is worked on the same acrylic paint background which was made using the new Liquitex Muted Collection paints. I’ve added a cluster of tight swirls with a white Sharpie paint pen and a looser, large swirl drawn with a black Sharpie paint pen. I’ve also added in some lettering and a cluster of thick short line marks. 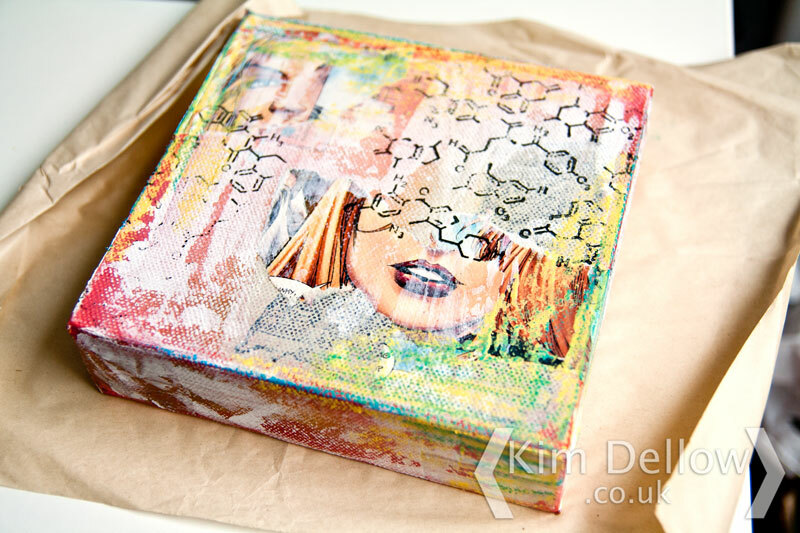 If you watch the Art Slice mini-video ‘Bubble Art Journal Art Slice. you will get a good idea of how I put the background together for this. The next share is something a little different. 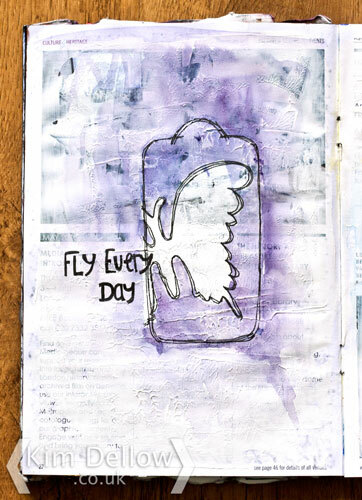 It is a ballpoint pen sketch on a gesso page in my Junk Journal. I was playing with geometric shapes and just organically doodling away to see what would happen. I quite like the mix of straight lines with curves. It was almost meditative doing this page, I was only going to do a few shapes then it turned into a large, page filling pattern of shapes. For my final share another swirl-inspired project like the first project above. 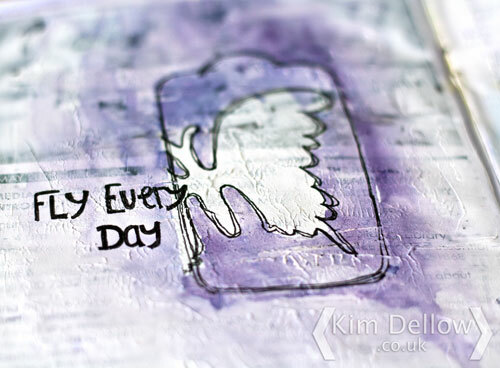 This one uses paint pen swirls, heart and lettering on an acrylic paint and junk journal background. 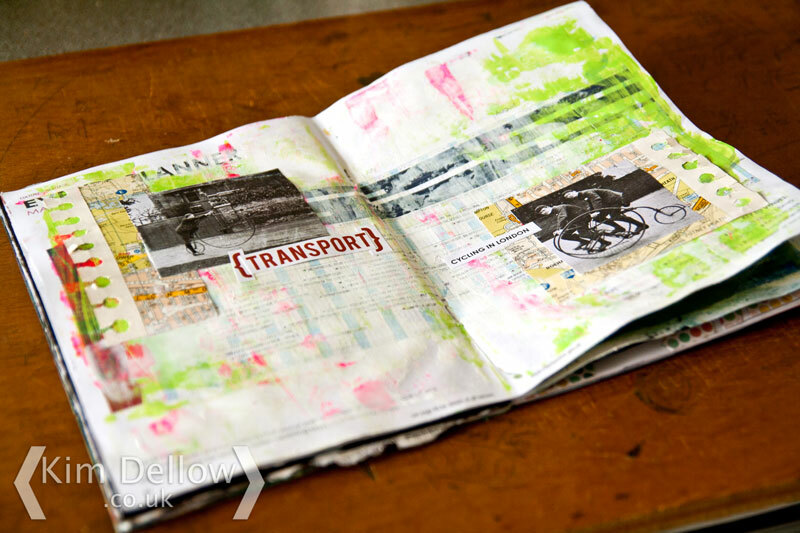 I think the green of the picture from the junk journal page really adds to the final look of the project, but then that is the joy of using junk journals isn’t it? Shout if you have some journal pages you want to share, I would love to see so leave a comment with a link below. Ahh Friday, you are here again. Which means so is #ShowYourFace. Wahoo! Hope you facers have been busy! For anyone new here this is a regular place to come and inspire, be inspired, but above all to share our portrait progress week by week. 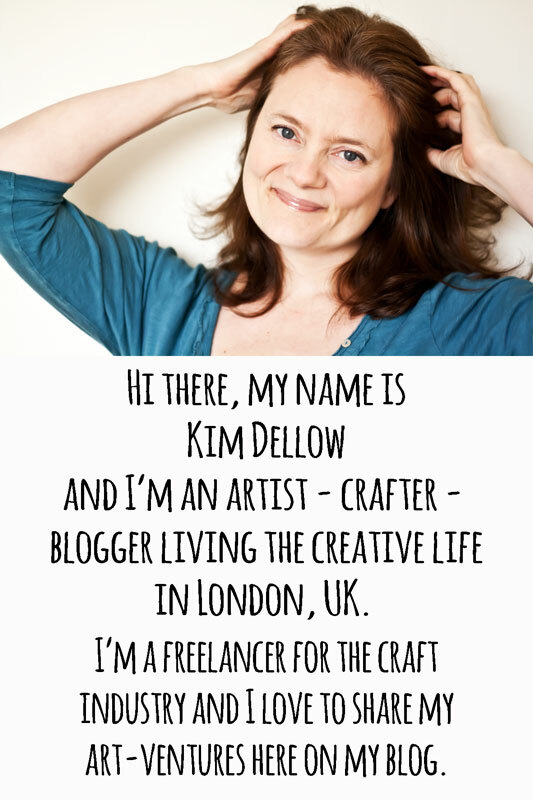 Every Friday at 10 am (BST) a new Show Your Face blog post goes live with the linky to add your blog post or online gallery picture to with any portrait work you have been doing. Your face can be drawn, doodled, painted, stitched, be made using any materials and can be any style, all I ask is that it is your artwork. If you use templates, stencils or stamps to build the face anatomy then they should be ones you have made yourself and not someone else’s. Finished pieces, works in progress or retro posts (i.e. older works, not from this week) are all welcome, so come join in and spread the word on your blog/ social media outlets. Use hashtag #ShowYourFace if you like! As is now tradition I will kick off this week’s face sharing with something I tried this week. It’s a quick and fun exercise that you might like to try too. I gave myself the challenge to doodle a selection of faces, the only rule was to make each one different from the ones before. 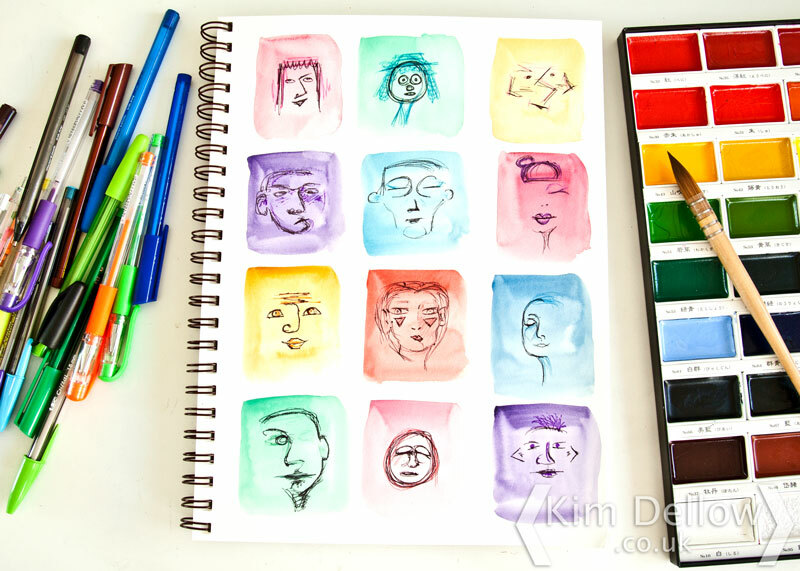 I took a page in my art journal and used small watercolour washes to section off the page. Then I grabbed some ballpoint pens of all colours and doodled away. It is amazing how it doesn’t take many lines to form a recognisable face does it? If you fancy having a go at this little challenge to yourself then go ahead and let me know how it goes! I would love to see. This would make a great warm up exercise don’t you think? I shall definitely being do more of these, I can already see a couple of faces that I might work up into bigger studies for fun. 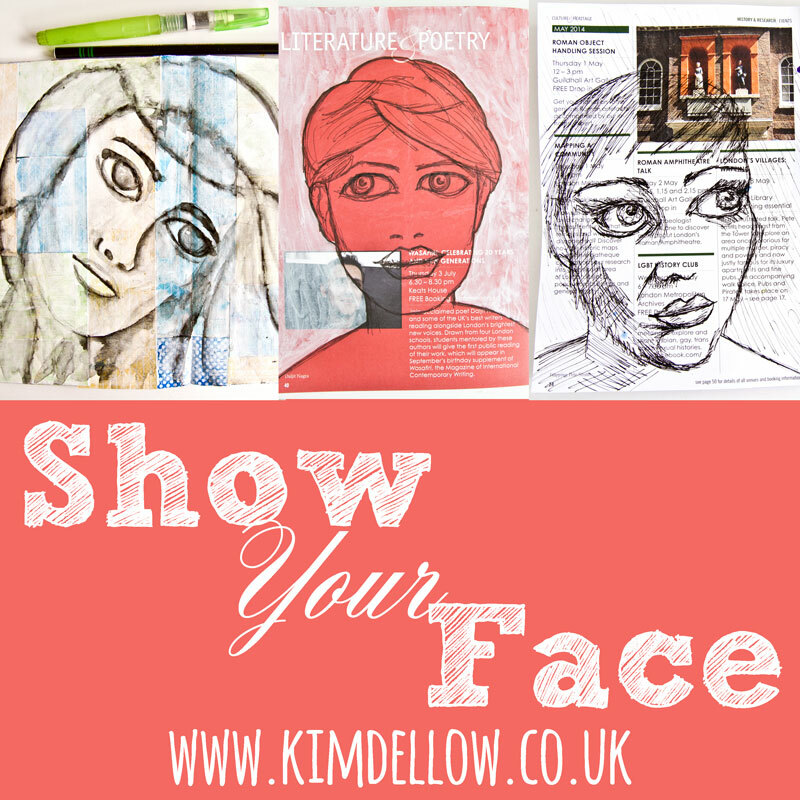 Link your faces artwork and spread the word on your blog and/or social media, hashtag #ShowYourFace for those of you that use them. ps. 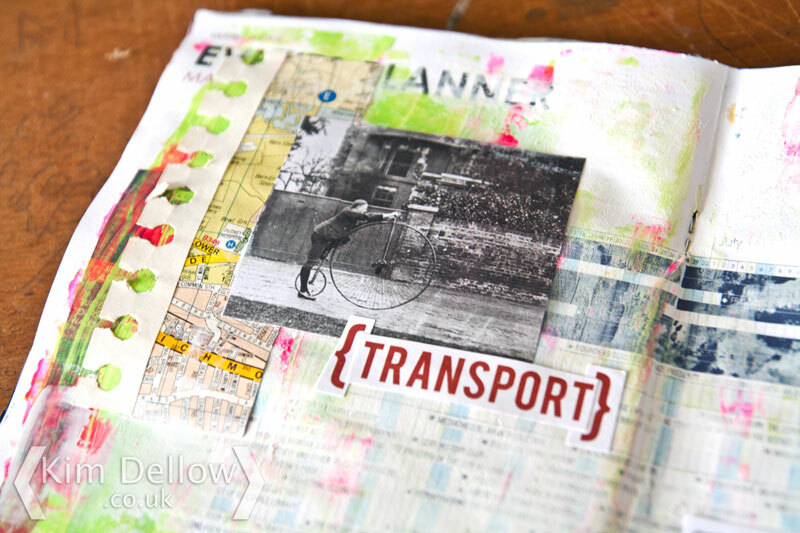 Some other places you might want to link your work to: Art journal pages link up with Julie Fei-Fan Balzer’s Art Journal Everyday post. Paint work link it up at Paint Party Friday. For items using something Old, New and Digital then go link it up on the Old, New and Digital Too challenge. 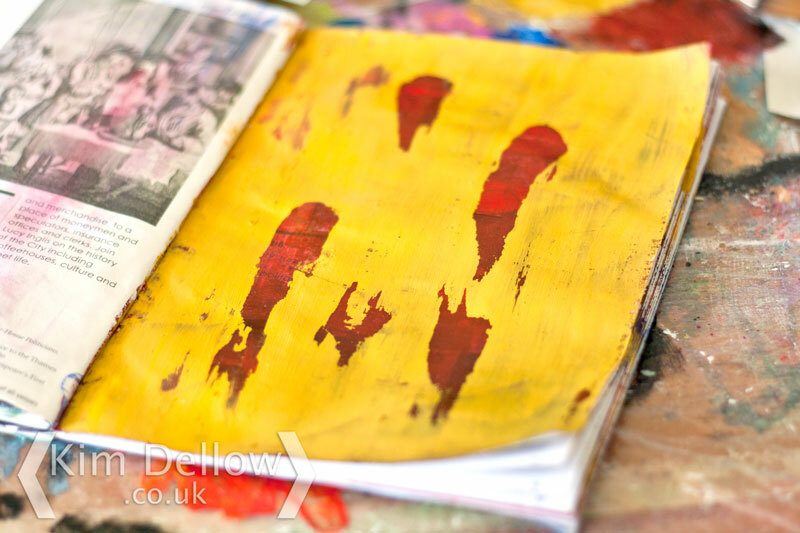 Art Journal Sharing – Oh Dear! 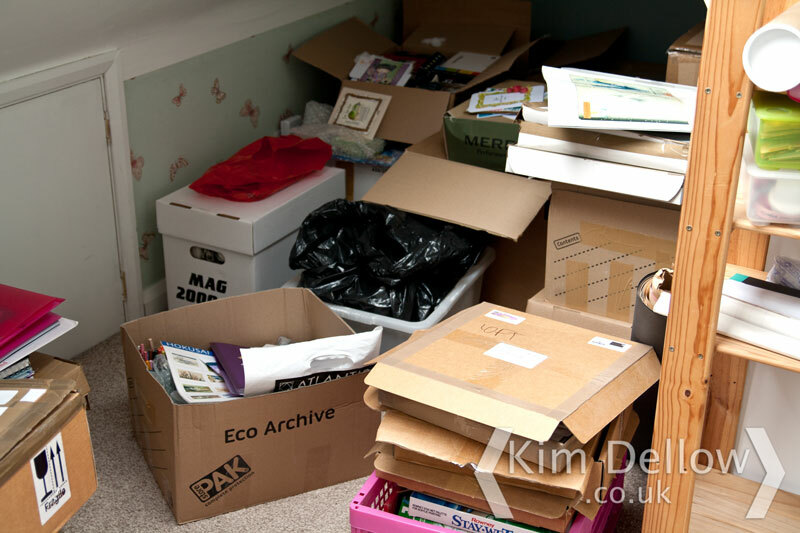 Oh well, the house move turned out far more disruptive than I had naively thought, you just can not do it all can you? I still haven’t got a journal page to share today but, tell you what, how do you fancy a couple of images of my new space with some half-baked projects thrown in for good measure? You up for that? Great! I’m lucky enough to be able to fit a couple of desks in my new workspace, which is a huge improvement on the small wooden boards I was working on in the kitchen of our old flat! You can see a couple of pics of the other desk if you visit my Instagram page. on an old canvas with a bit of stamping. The stamp is the SCACD Art of Chemistry stamp, one of my faves at the moment! Don’t know if either projects will evolve but if they do I will let you know! and scratching my head about what to do about storage. 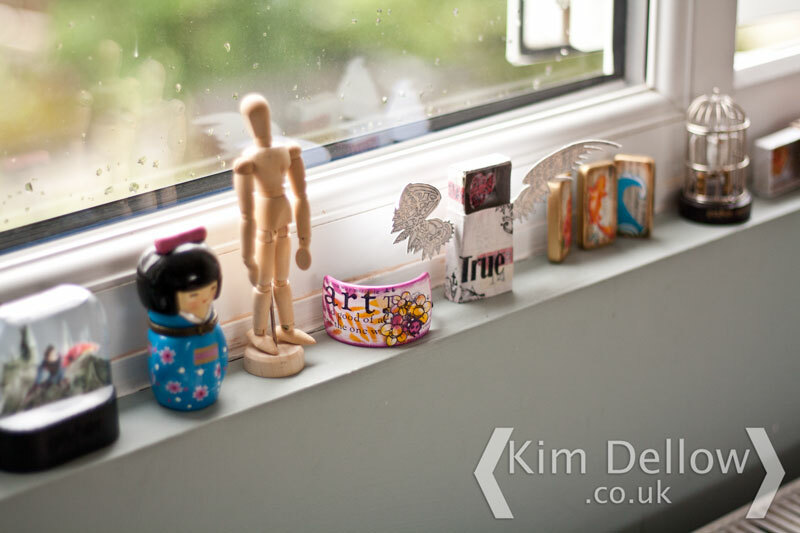 But I do have a little windowsill which has been starting to gather some items! Time to get on with some work again so I shall catch you all later and hope you have a fun rest of your Wednesday. What is your favourite technique with acrylic paint? I don’t know that I have one yet, I don’t think I’ve tried enough techniques to have a favourite. I need more techniques in my arty toolbox so I keep experimenting. Here are some of my painty texture experiments from this week. So who fancies a share? I would love to know what techniques you have been playing with. This messy page uses three techniques, the first one is collage, so not really painty. 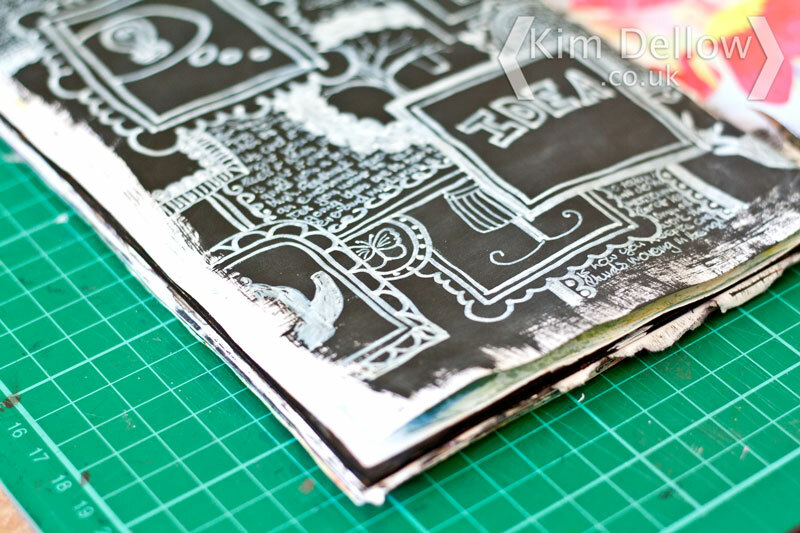 I’ve covered the page with some left over butterfly die-cuts then layered over the top with paint. The two techniques I’ve used for the paint layers are dry brushing and using petroleum jelly (Vaseline) resist. There is probably around six layers on this one, including the collage. It is a very grungy look isn’t it? Then I made a page just using the petroleum jelly (Vaseline) resist and two layers. You might also know the petroleum jelly resist technique as the peeled paint technique. I love the way that you can see the wording on the page just peeking though the red paint wash under-layer. 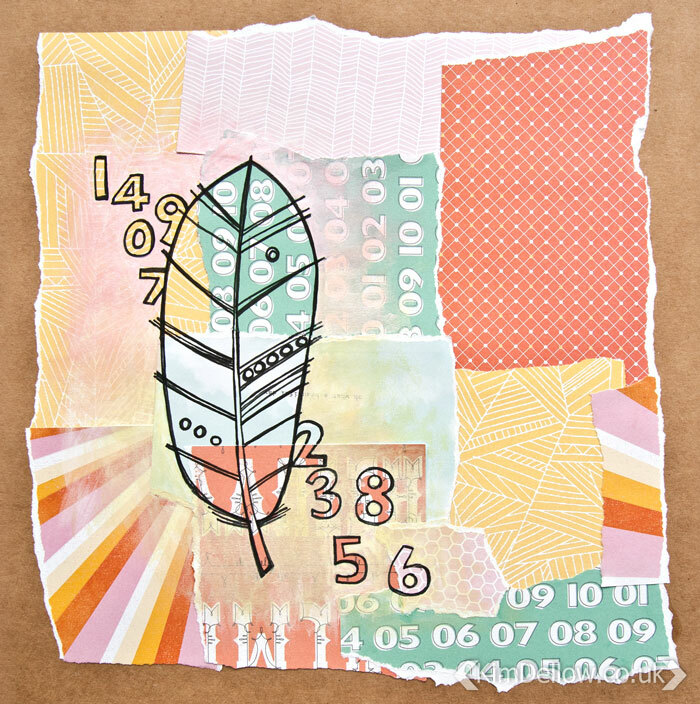 I first came across the petroleum jelly resist technique a few years back in Claudine Hellmuth’s book Collage Discovery Workshop*. But if you can’t get a hold of this book you can also find it in Nancy Reyner’s Acrylic Revolution* book which is stuffed full of great acrylic paint techniques, so well worth adding to your bookshelf. I love making painty textures and I’m always on the lookout for new textures. I have a Pinterest board devoted to them for a bit of Pinspiration. 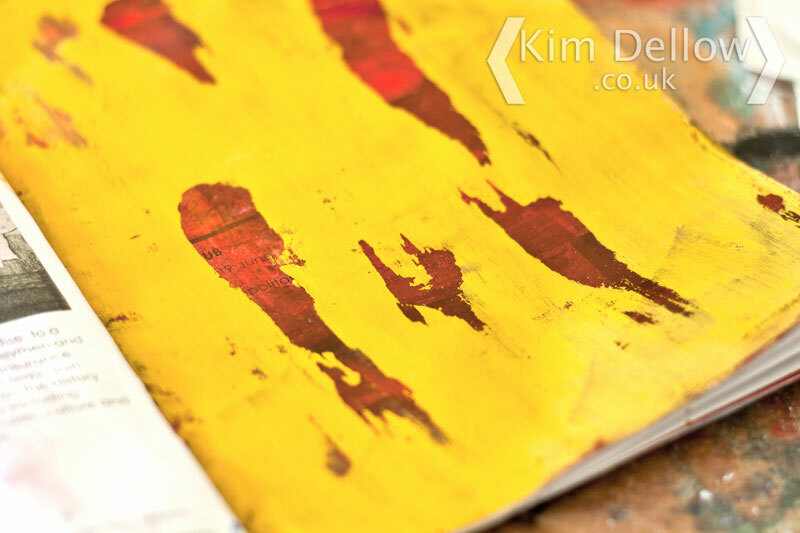 Follow Kim Dellow’s board Textures on Pinterest. The colours of the layers and the look of the texture is a great help for paint combining and trying to mimic weathered looks. You can tell that I’m a bit of a texture freak can’t you? If you are too then do come and follow my board. 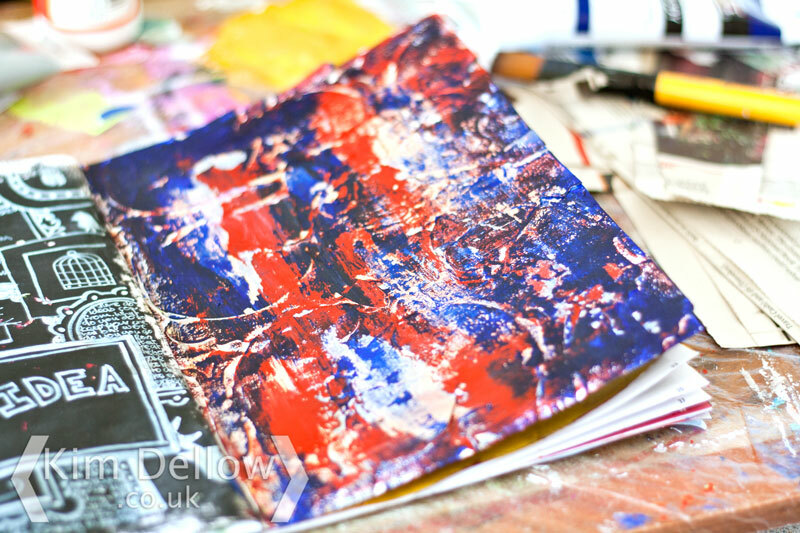 For some more of my acryilc paint experiments check out this post about acrylic skins. 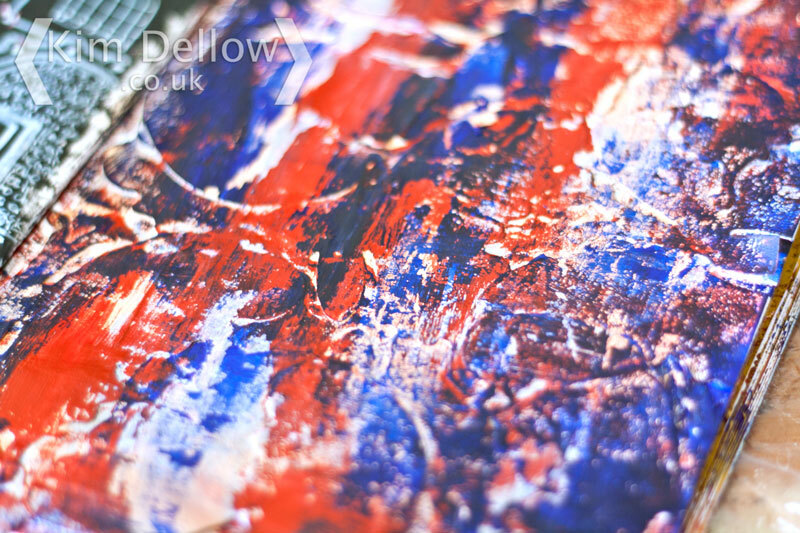 Let me know what painty techniques you have been playing with recently in the comments below or if you are a texture-head too I would love to hear about it – an obsession shared and all that! 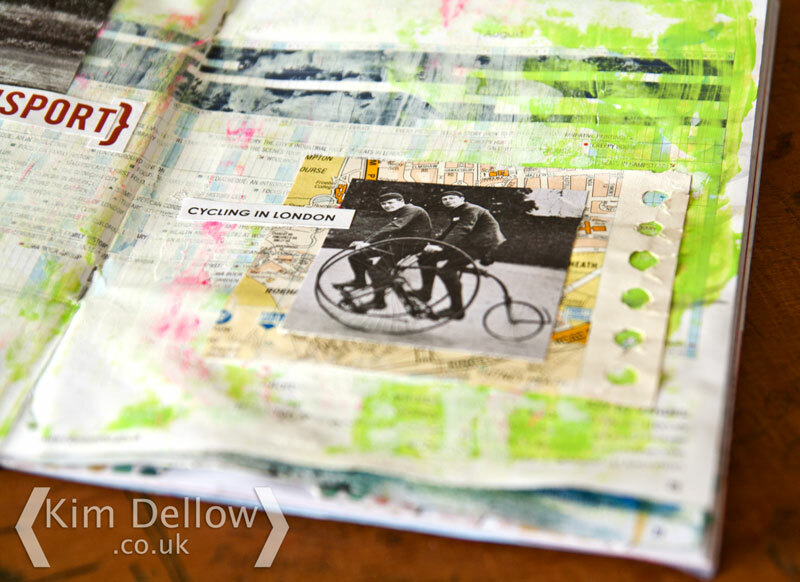 Art Journal Sharing – On Your Bike! 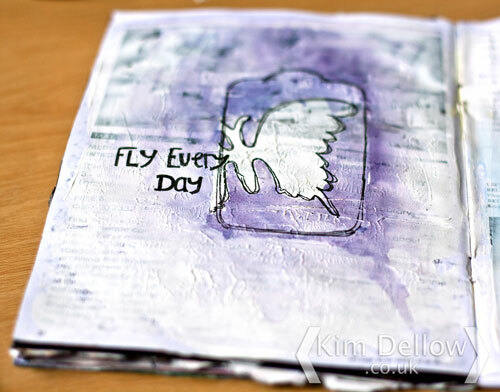 I didn’t think I was going to have a page to share with you today for my Art Journal Sharing post. My mojo has been so concentrated on articles and house moving that there seems to be no more room in my head for anything else. Well that was what I thought until around 6pm last night when I had a sudden urge to throw some paint on a page in my A5 repurposed art journal and around 30 minutes later I had this double page spread done. It is a bit random and mostly lead by the fact I wanted to use this acid green and some fluorescent pink paint. 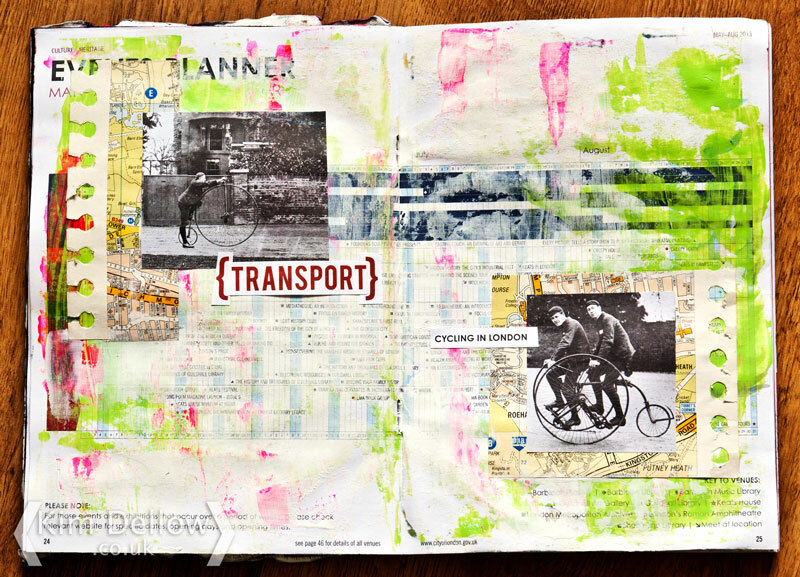 As the pages progressed the picture of the old bicycles just caught my eye from other pages in this re-purposed flier so a ‘Transport’ and ‘Cycling in London’ theme grew. I used to cycle in London, but not on a Penny Farthing oddly enough – I know, go figure! But there are people who do cycle around London on Penny Farthings. There is the Penny Farthing Club for a start and then I think you can spot a couple of Penny Farthings on the Tweed Run as well. I think that little double seater in the bottom right corner is more my style! Thanks for popping round for my share this week. Hey Wednesday hoppers, how are you doing? 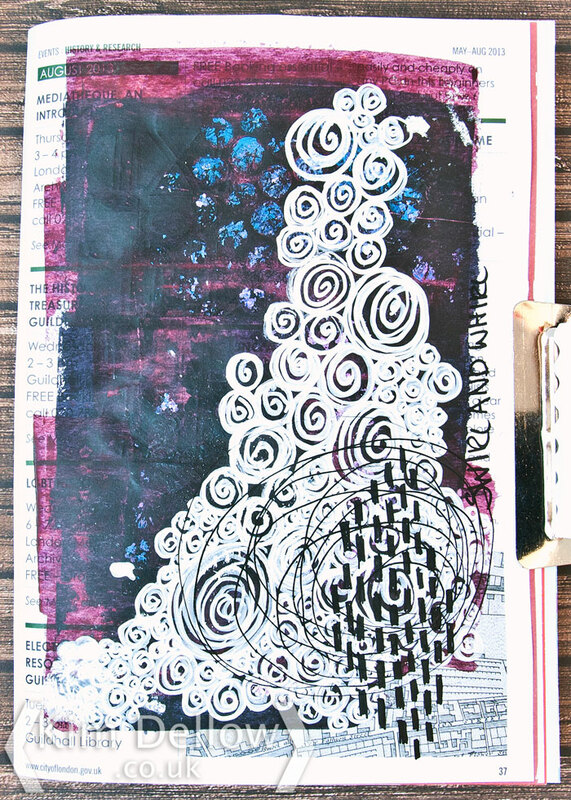 It is Art Journal sharing time and this week I’m a doodling in my journal. 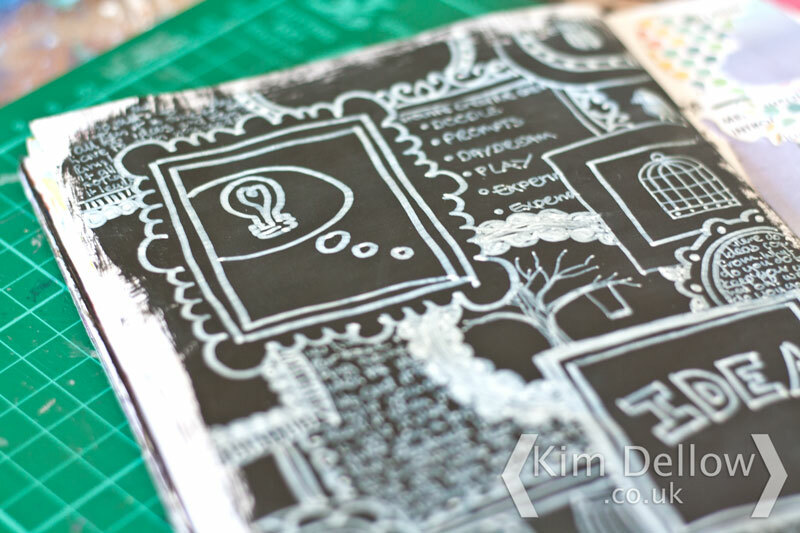 Are you a doodler? 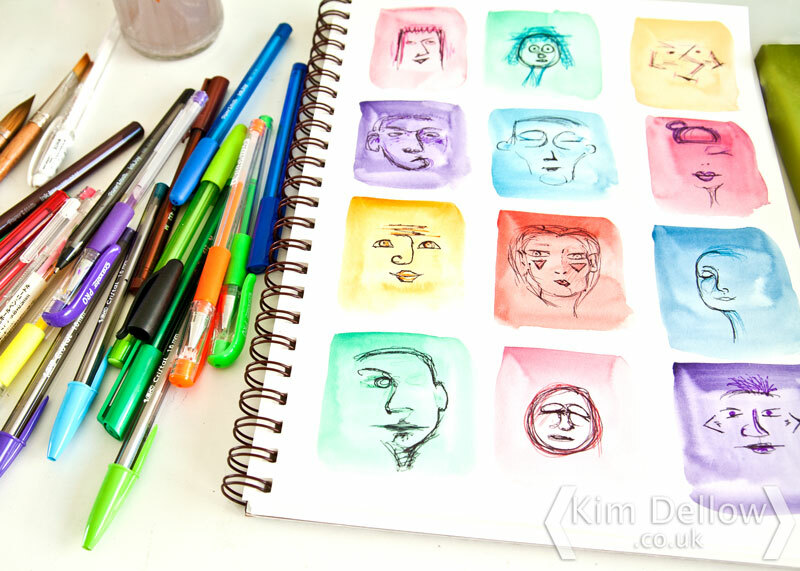 When you doodle do you tend to stick to the same things or are you more doodle adventurous? I tend to find that if I’m doodling without thinking about it I just draw the same things over and over again. I kind of get stuck in this creative doodle rut, repeating the same patterns or pictures and never breaking out of my comfort zone. So, as part of my hope to improve my sketching skills, I am trying to make my doodling more mindful and deliberate and doodle things I would not usually doodle. With that in mind I set out to make a full doodle journal page. 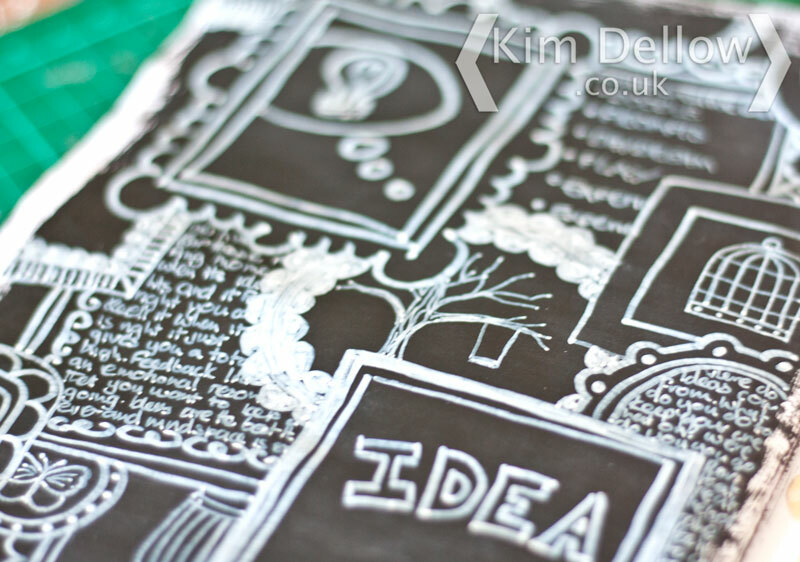 I painted the page with some black chalkboard paint, or you could use a mat black paint too. Then doodled with a white chalk marker pen. The inspiration was one of those gallery walls that are very popular in home décor circles at the moment. I do like the idea of multiple frames making up one feature or picture, so that was the look I was going for with this page. You can probably guess the theme? It is about creativity and idea generation and I’ve added doodle pictures in some frames and journaling in others. That is my share this week, how about you? 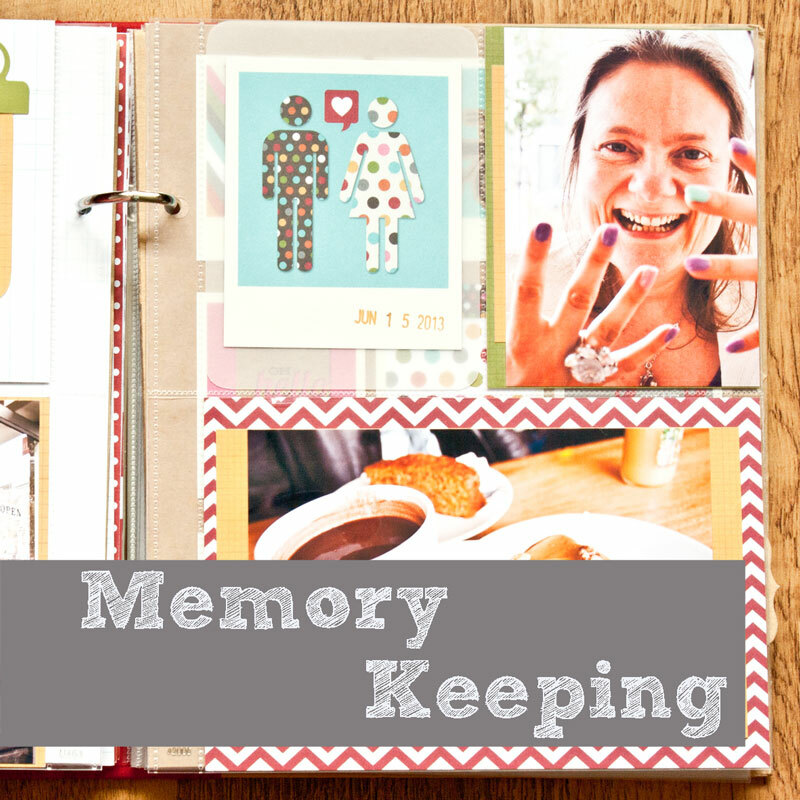 What journaling have you been up to this week? I would love to hear about any journaling you have been doing, art, writing, doodling, smashing, it all works for me so leave me a comment and a link so I can pop on by for a look! 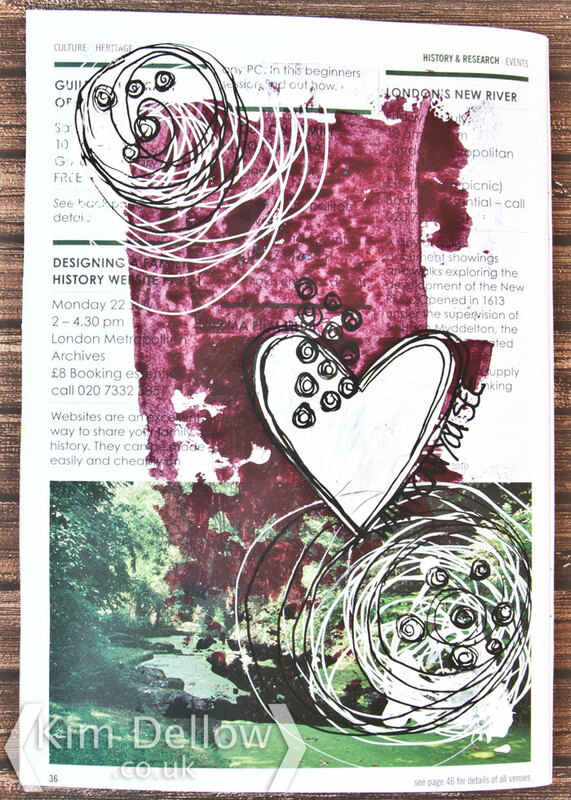 Art Journal Sharing – Wednesday? 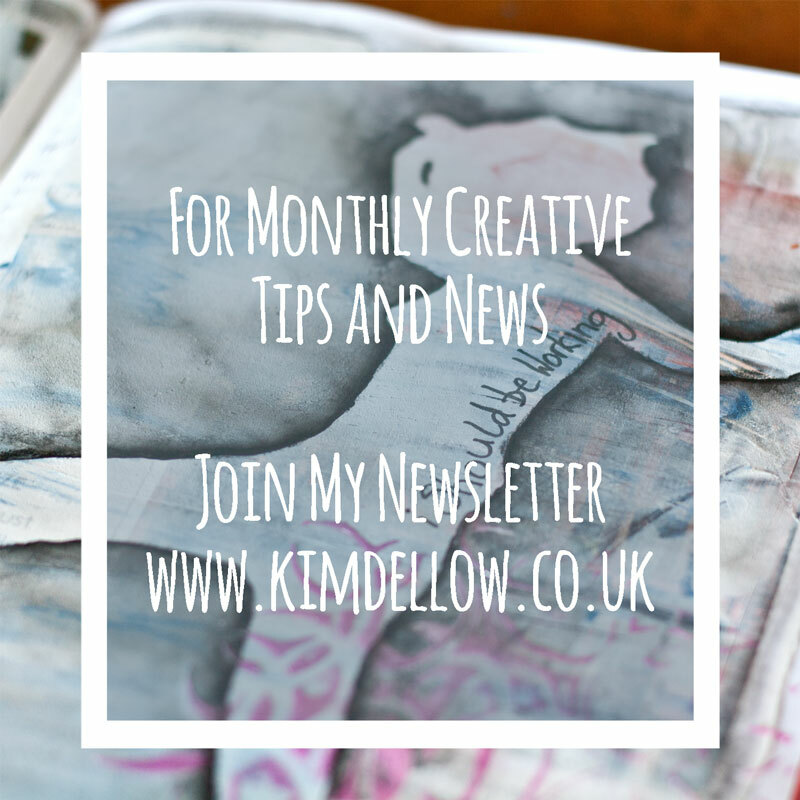 I knew that as soon as I started calling my weekly art journaling post ‘Art Journal Sharing Thursday’ that I would live to regret the name! I’m so not good at this blog titling thang. 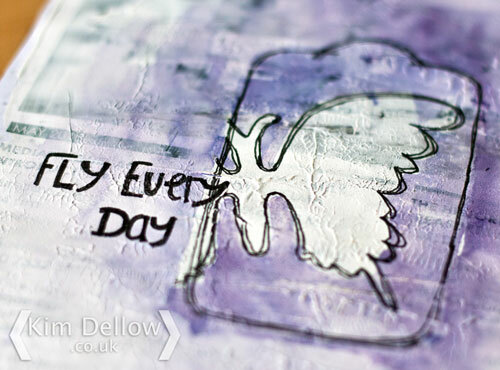 *SIGH* But now that I’ve finished my DT work with Creative Expressions I thought I would spread my blog posts out more regularly and move my weekly Journaling post from Thursday to Wednesday. I had my last Fiskars demo for a while at the weekend and once again, in between making tags and cards, I did a bit of journaling too. I started on a gesso-ed page in my A5 repurposed flier, there aren’t many pages left, soon I will have to think about what to put on the cover! The gesso is textured and I used masking techniques and watercolour to make the page. Winsor and Newton Cotman Watercolour Sketchers Pocket Box Set which I got because of its tiny size and weight. It fits into my bag so easily, even when I am travelling light. The best thing about it is that you can replace student quality pans with artist quality ones if you want. But waste not want not, I’m going to finish off the pans that are in there first, before I replace them. Obviously I had some Fiskars dies, for the Fuse that I was demoing, with me and my pencil case staples a marker pen, in this case a Staedtler Pigment Liner Pens, and the Kuretake ZIG BrusH2O Waterbrush. 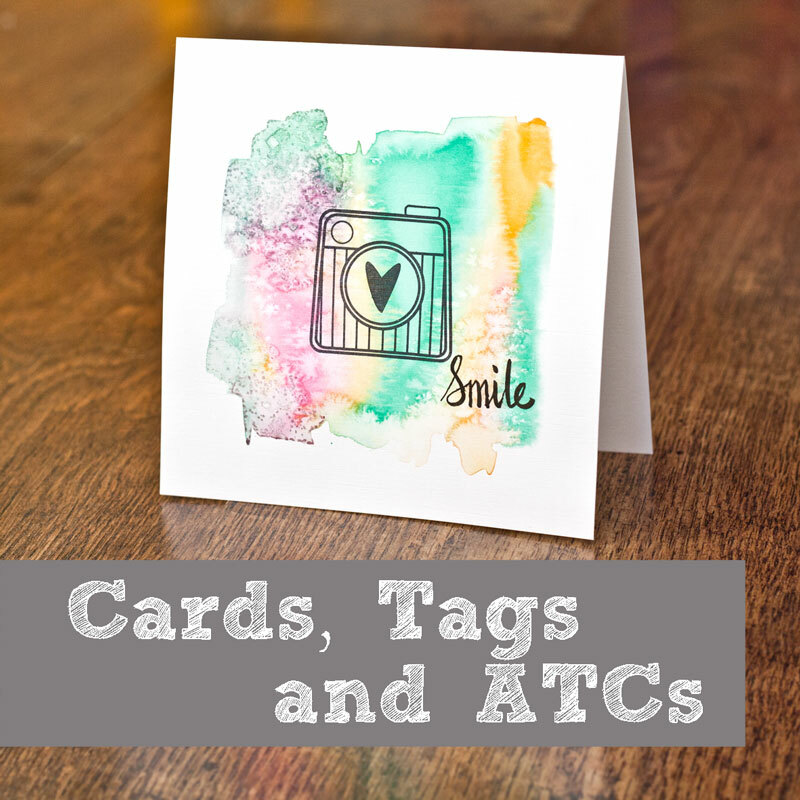 I masked off the tag shape with the negative piece left over when die-cutting a tag and arranged a die-cut butterfly over the top then added the watercolour wash, holding them in place with my hands. I then used the tag and the butterfly negative cut outs to help guide where to place the pen border and added the lettering to finish. So now that my demos are over when will I fit in my art journaling? 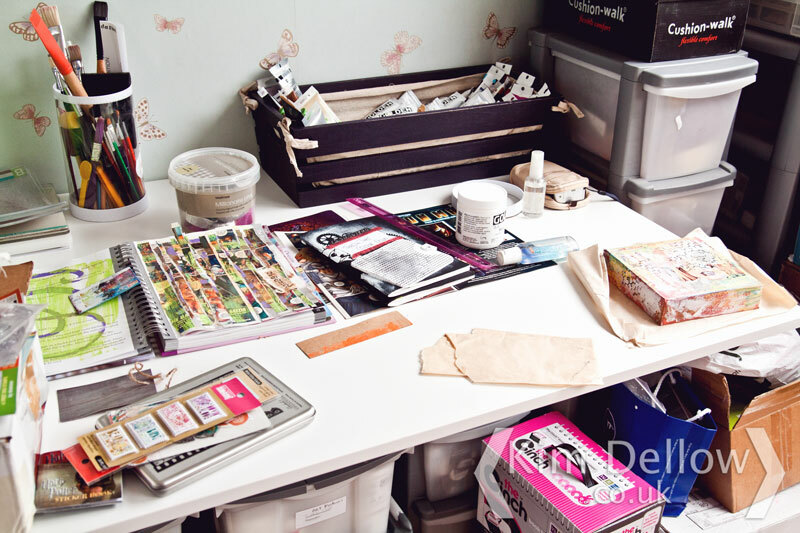 When do you tend to do your art journaling? Have you a set time, or do you manage to do something everyday? 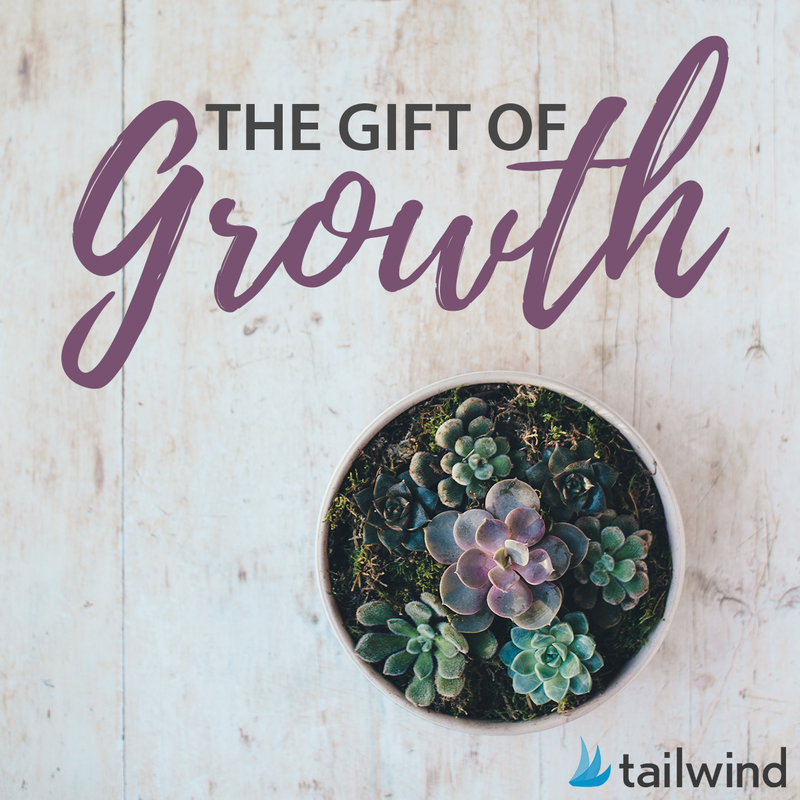 I would love to know, please do leave me a comment below telling me how you manage to fit your journaling into your week.